Stomp, stretch, and ROAR! 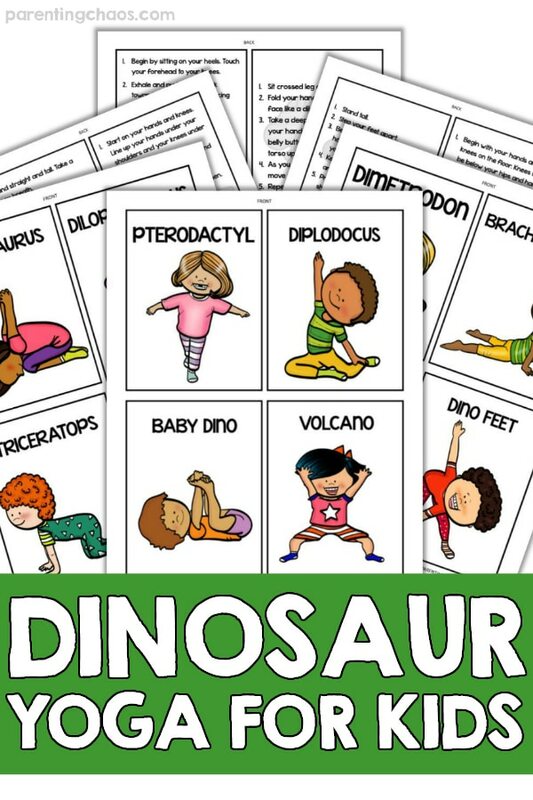 This printable packet is filled with fun Dinosaur Yoga Poses for Kids! We had such a blast playing around with these dino yoga poses this week! 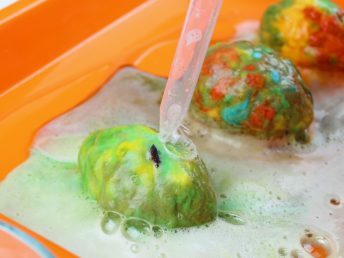 Plus they are a great gross motor activity that gives your child a ton of sensory input. Airplane Pose: Fly around like a Pterodactyl! Mermaid Pose: Stretch high like a Diplodocus! Happy Baby Pose: Rock side-to-side like a Baby Dino hatching out of it’s egg! Horse Pose: Stretch out and explode like a Volcano! Rabbit Pose: Pretend your arms behind your back are Stegosaurus plates! Salutation Seal Pose: Pretend your hands are a Dilophosaurus fan! Table Pose: Crawl around like a Triceratops! Chair Pose: Stomp around like a T-Rex! Frog Pose: Pretend to be a Dimetrodon showing off it’s back fin! Upward Facing Dog Pose: Stretch your chest high like a Brachiosaurus! Tree Pose: Stand tall and ground yourself like a Jurassic Tree! 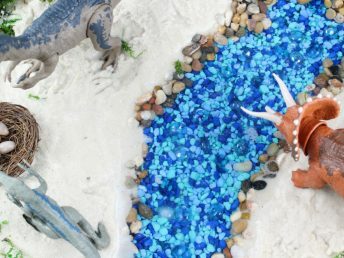 Windmill Pose: Stretch out and touch your Dino Feet! 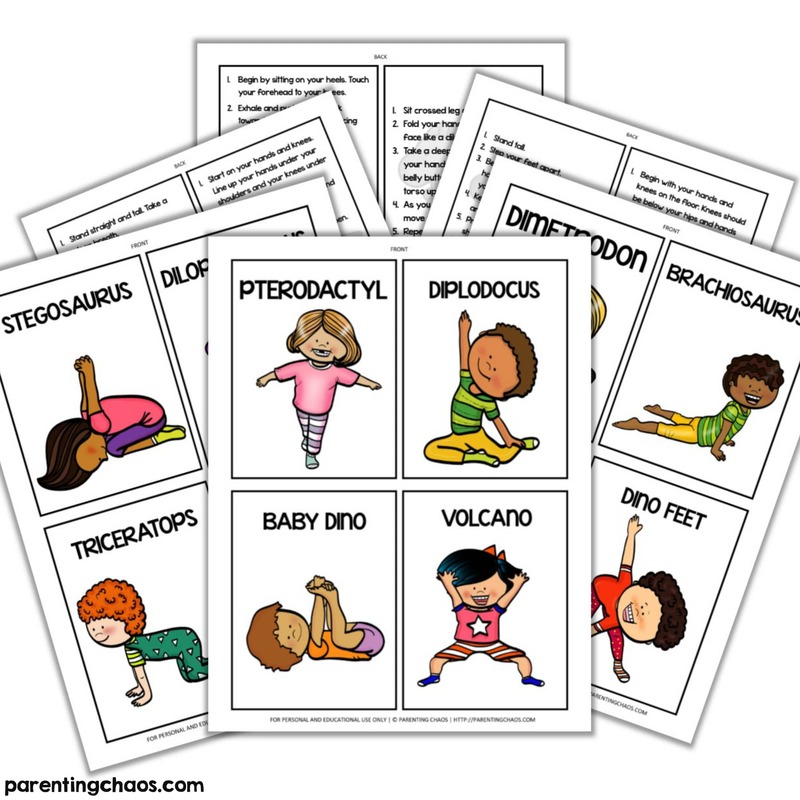 Ready to print these yoga poses off for your child? Snag them here! 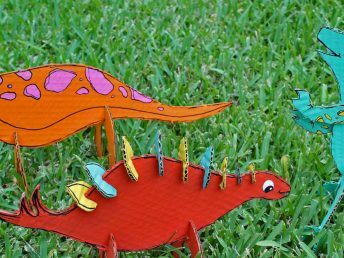 Not printing this Dinosaur Yoga for Kids packet off right this second? 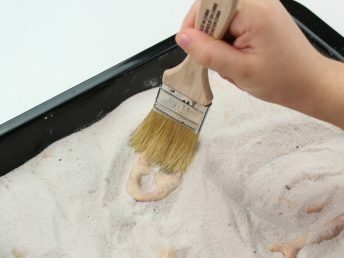 Then pin this post so you can easily find it later!